Even if you can't make it in person to the PC Gamer Weekender in London this weekend, you can still catch all the action from The OMEN by HP Bootcamp thanks to the magic of live streaming. The OMEN by HP Bootcamp was set up to teach you everything you ever wanted to know about playing Overwatch as a pro. The event promises bespoke sessions and masterclasses hosted by some of the best esports players in the UK. 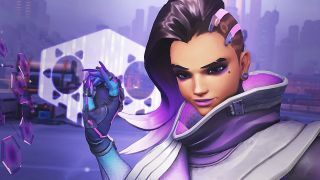 Veteran Overwatch expert Mark "Valkia" Purdy will be in attendance, and so will members of the UK's Overwatch World Cup Team, Realzx and Kruise. Learn from the best, and watch aspiring pros compete for glory. You can catch all the action on Twitch. "The OMEN by HP Bootcamp is a fantastic addition to the PC Gamer Weekender event," says PC Gamer's UK editor-in-chief Samuel Roberts. "You can find out what it takes to become a top esports player and take your gaming to the next level. You will also get the opportunity to see pro gamers in action as they battle it out live on stage." This is your last chance to save on advance tickets—just use the code GR20 before the event to save 20% on your tickets. Here's a list of the games you can play at the show, here are the stage talks, and you'll find everything else on the Weekender website.